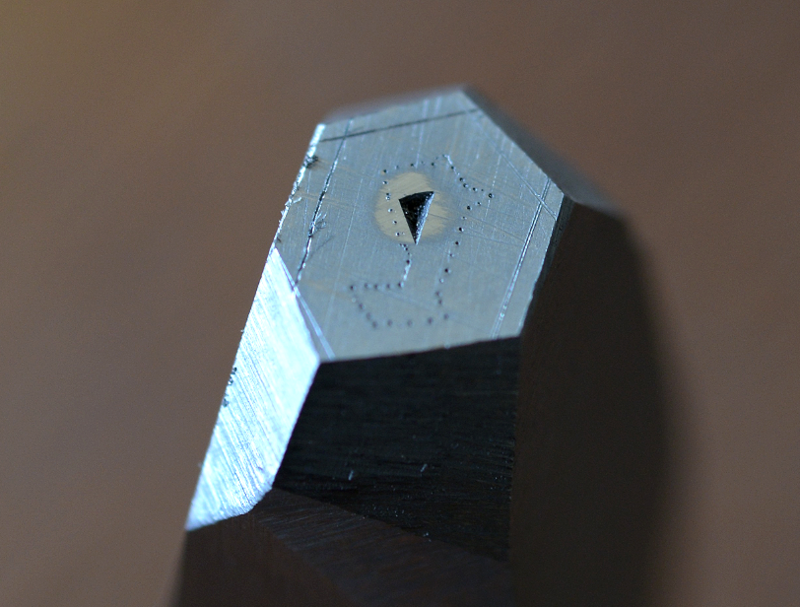 I've made this close-up of one of my B42 punches to illustrate something rarely described in type literature: how to combine the counterpunch imprint with engraved contours. You can even see the mark of the polishing that came after the counterpunch strike to level the surface flat again. The contour was made without soot transfer, just puncturing paper with a scribe to leave marks on the steel surface. Just moderate pressure is enough if the scribe is good (I use gramophone's needles).